Lieutenant Colonel Daniel J. Everett is from Birmingham, Alabama. He currently serves as a Chief of Military Justice for III Corps and Fort Hood at Fort Hood, Texas, where he acts as the lead prosecutor for the busiest court-martial jurisdiction in the United States Army. 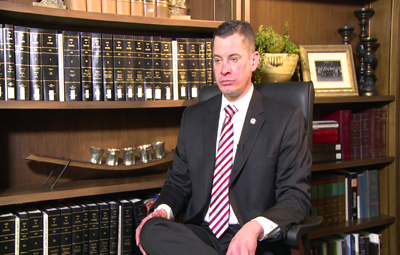 His military assignments have focused primarily on litigation and criminal law. He has served as a prosecutor; a criminal defense counsel; Senior Defense Counsel; and as a litigation attorney with the U.S. Army. 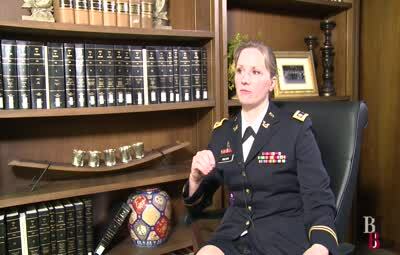 Prior to becoming a judge advocate, Lt. Col. Everett served several assignments as an Ordnance Officer. 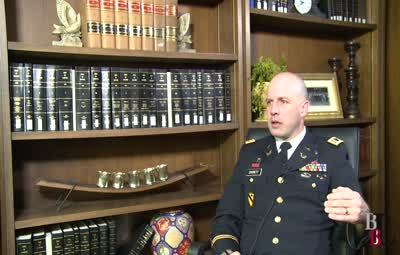 Lt. Col. Everett was the recipient of the Outstanding Young Lawyer for the U.S. Army from 2006-2007 by the American Bar Association's Young Lawyer Division, and has received many military awards during his career. He graduated from the United States Military Academy at West Point as a Distinguished Cadet with a B.S. degree, received his J.D. from the University of Alabama School of Law, and received his L.L.M. in Military Law with a Criminal Law Specialty from the U.S. Army Judge Advocate Legal Center and School, graduating with Honors. Mr. James is senior counsel in the Birmingham, Alabama office of Baker, Donelson, Bearman, Caldwell & Berkowitz, P.C. His practice focuses on employment law and he counsels on issues related to numerous labor and employment laws, including Title VII and the ADA. Mr. James has been awarded the Sam W. Pipes Distinguished Alumnus Award by the University of Alabama School of Law and recognized in Alabama Super Lawyers, The Best Lawyers in America, and AV Preeminent Peer Review Rated by Martindale-Hubbell. Frank is currently a trustee and a past chairman of the Board of Directors for the YMCA of Metro Birmingham; member of the Board of Directors, Board of Pensions, Presbyterian Church; past director of Kiwanis Club of Birmingham; and past President of the University of Alabama Law School Foundation Board of Directors. He was a Colonel in the United States Army; clerked for the Honorable Virgil Pittman, S.D. AL; served as an Assistant United States Attorney; and was a Professor of Law at the University of Alabama School of Law. Mr. James received his undergraduate degree from Campbell College and his J.D. from the University of Alabama School of Law. 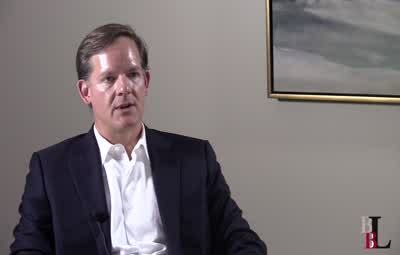 Edward S. Sledge, IV, formerly of Maynard, Cooper & Gale, is a partner in the Birmingham office of Bradley Arant Boult Cummings. Ed has an extensive general litigation practice, representing businesses in commercial, class action, financial services and intellectual property litigation, as well as in personal injury and product liability matters. When not advancing his clients' interests, Ed serves as the Chair of the Alabama State Bar's Leadership Forum Section, the Chair of the Alabama State Bar's Service Members and Veterans Support Task Force and the Chair of the IADC's Business Litigation Committee. Ed received his B.S. in 1995 from the United States Military Academy, where he received the Superintendent's Award, and his J.D. in 2003 from the University of Alabama School of Law, where he was a Senior Editor on the Alabama Law Review, winner of the John A. Campbell Moot Court Competition, a member of the Moot Court Board, and the Jessup International Moot Court Team, as well as a member Bench and Bar Legal Honor Society and justice on the Honor Court. Ed is a member of the Order of Barristers. Prior to law school, Ed served with the 3rd Infantry Division at Fort Stewart, Georgia as an armor platoon leader, infantry mortar platoon leader, assistant battalion operations officer and battalion logistics officer. D. PARKS WHITE. Parks White is the elected District Attorney of the Northern Judicial Circuit of Georgia. Mr. White's work includes the prosecution of felony and misdemeanor cases, supervising an office of Assistant District Attorneys dedicated to justice and victims' rights, as well as prior service as a Judge Advocate General in the United States Navy, including war time service in Iraq where he received the Defense Meritorious Service Medal for his service as a liaison between a Special Operations unit and Iraqi Judges. He was recently promoted to Lieutenant Commander in the United States Navy Reserve. Mr. White was selected as one of Georgia's "Top 40 attorneys under 40" in 2014 by the Fulton Daily Report, and is an experienced litigator who has tried more than 60 felony jury trials, including multiple homicides, child molestations, and drug trafficking cases, and is also an accomplished appellate attorney in the State of Georgia. Mr. White received his undergraduate degree from Clemson University, and his J.D. from the University of Alabama School of Law.